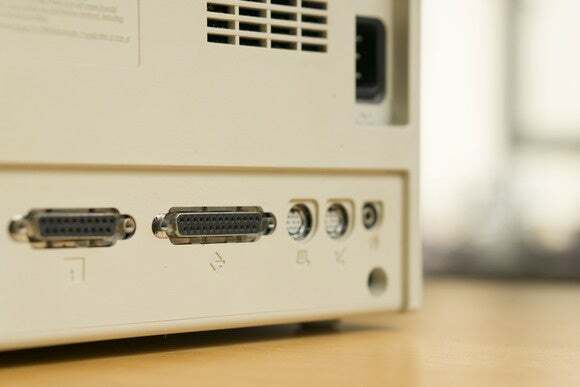 You could tell the story of computing through the varying capabilities and speeds of the different ports and connectors that have come and gone; please note, however, that I’m not claiming anybody would want to listen to it. Nevertheless—and I’m aware this is the sort of thing I can only admit here, among friends—I do have a peculiar, emotive fondness for a couple of I/O standards from the Mac’s history. ADB is one, but the other is FireWire. In a lot of ways, FireWire is emblematic of everything that’s great about Apple as well as everything that’s not, and of a particular mindset among some Apple users. 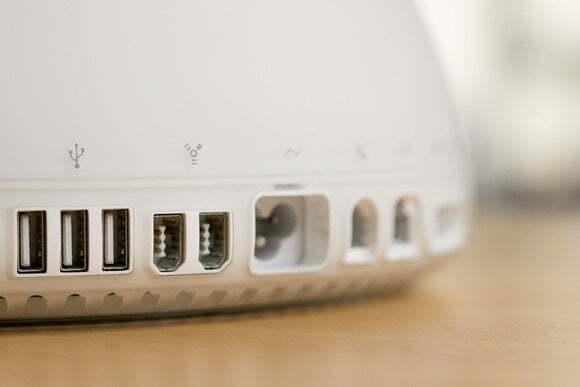 It was technically hugely sophisticated, removing much of the burden for the data interchange from the main CPU; unlike USB, which required a host computer, FireWire was essentially a peer-to-peer networking technology, and it could transfer at full speed in both directions simultaneously, unlike USB. It was daisy-chainable; from one single port on your computer you could attach up to 63 devices. 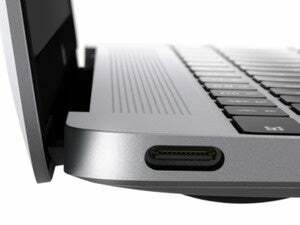 What’s more, it could deliver strong and cleverly managed electrical power to peripherals. And you could boot the pre-Intel Macs of the time from drives connected using it. Even the logo looked exciting, such as when you saw it on booting a Mac into Target Disk Mode. It was fast. While USB 1.1 could manage 12Mbps, the contemporaneous FireWire standard could transfer at 400. That was an important differentiator for the original iPod, which featured FireWire, since it meant it could in theory transfer music from a Mac more than 30 times faster than the other MP3 players on the market—a big deal when it was so capacious. I had a Nike PSA Play 60 at about this time, and I remember that filling even its 32MB took an age over USB 1.1. 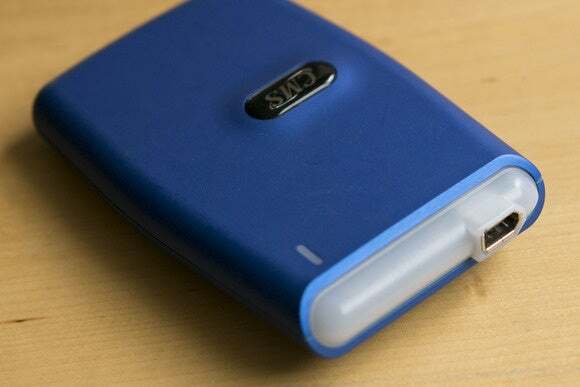 By the time USB 2.0 came along, with its 480Mbps transfer, we had the next-generation FireWire capable of 800Mbps. And FireWire was at the heart of the standard that enabled everyone for the first time to edit movies on their Macs, which was a hugely transformative moment in our history. But it was also, ultimately, expensive to implement, and although variants were supported by other companies (notably Sony), it struggled to get traction outside of the Apple ecosystem. This is frequently the story of Apple or Apple-backed technologies; they’re often technically superior to anything else in the industry, but either because Apple specifically doesn’t allow them to spread or because they fail to gain traction because of price, pressure or other reasons, everyone ends up using less-good alternatives. Betamax proves that this phenomenon is not unique to Apple, but Apple before Jobs’ second act got into full swing did rather seem to make it a feature of its corporate culture. It felt truly modern, too. Remember that we’d been futzing about with serial connections and with chunky, unwieldy SCSI interconnects and terminators. Look at this SCSI port on the back of one of my Macintosh Classic IIs, with its big pin holes and its anchoring screws; to modern eyes it looks almost literally antiquated, even like a film prop. Compare it to the tiny, smart FireWire connections on the iMac G4 at the top of this page, itself a vintage Mac. I still use FireWire 800 to connect my Drobo up to my media server, a 2010 Mac mini, and I have a LaCie 2big Quadra RAID drive also connected with FireWire 800 to my 2008 MacBook Pro as a Time Machine target and to offload big Final Cut Pro projects to. And I keep this little 40GB FireWire drive around, since it’s a handy bridge (with a FireWire 400 to 800 cable) between my modern Macs and my more recent vintage Macs for moving around hefty chunks of data or installing new operating systems. Of course, I have to resign myself to the knowing that this kind of job is pretty much all I’ll use FireWire for in the next few years, before it falls completely into disuse. I have to face up to the fact that these days, FireWire 800 is actually pretty slow—25 times slower than Thunderbolt 2. My 2008 MacBook Pro—my main Mac—is really due an upgrade, not least because, for all my waxing lyrical about FireWire, I am not enough of an schmuck not to long for the thicker bandwidth and extra capabilities of Thunderbolt. When I do retire my MacBook Pro, the Thunderbolt that its successor will have will perfectly replace the role not just that FireWire currently plays in connecting my peripherals, but also that it plays in my heart: a blisteringly fast, crazily expensive, Apple-championed technical marvel that is better than anything else in the industry but that, as might be hinted by the new MacBook, will perhaps even before long be supplanted by something far more pedestrian.